Foreign Customers come to visit our factory. Home > News > Foreign Customers come to visit our factory. Last week foreign customers from South Africa came to visit our factory workshop. 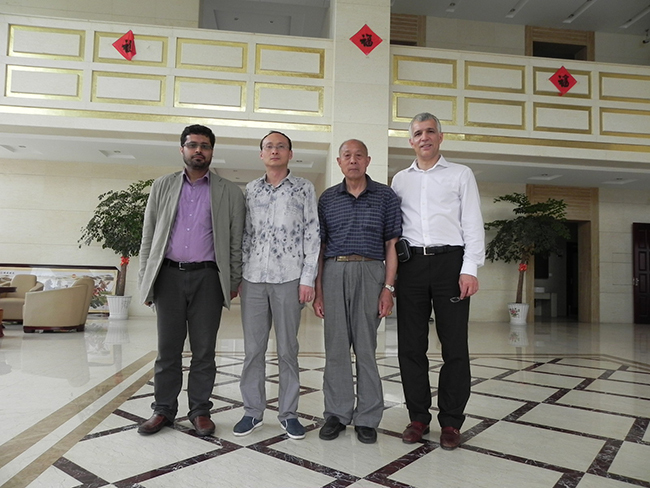 After further negotiation they decided to purchase PTFE Rods,PTFE Sheet and other PTFE Machine Part in the future. PTFE has excellent thermal and electrical insulation properties. And, it has a low coefficient of friction. It is difficult to make anything adhere to PTFE. A material may stick to it, but the material can be peeled off or rubbed off.